More American's--especially the baby boom generation--are learning the importance of eating healthy. A new research study indicates that eating Mediterranean-style seems to reduces the risk of mild cognitive impairment, dementia, and Alzheimer's. There are numerous studies that indicate this style of eating helps reduce cardiovascular risk factors like high cholesterol, hypertension and diabetes. All of these are linked to Alzheimer's and I have written about them previously on this blog (use the search box for more information). 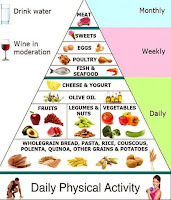 The Mediterranean diet is a heart-healthy eating plan combining elements of Mediterranean-style cooking. 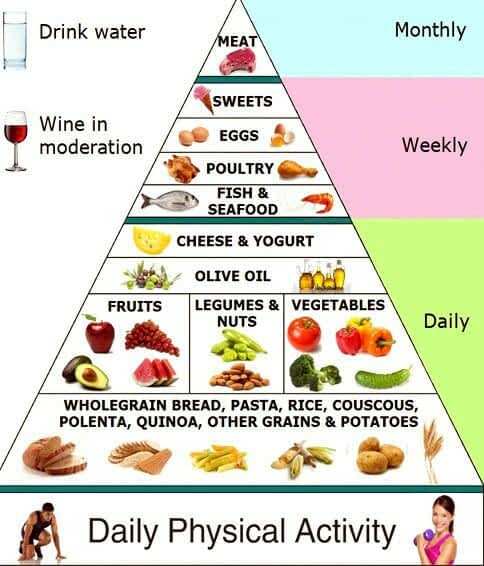 Here are some good examples of foods on a Mediterranean-style diet? Substitute fish and poultry for red meat. Avoid sausage, bacon and other high-fat meats. Limit higher fat dairy products such as whole or 2 percent milk, cheese and ice cream. Switch to skim milk, fat-free yogurt and low-fat cheese. I find myself rubbing olive all on just about everything these days. I also give my mother two olives a day. Seems to work, so I am an advocate.